Sometimes Simon gets a little chilly, but the inside of the couch cushion is toasty! He is too funny and doesn’t look one bit ashamed. I’m so sorry about the sofa thought. Hopefully it will be easy to repair. He looks so cozy, I’d be tempted to leave it like that for him! 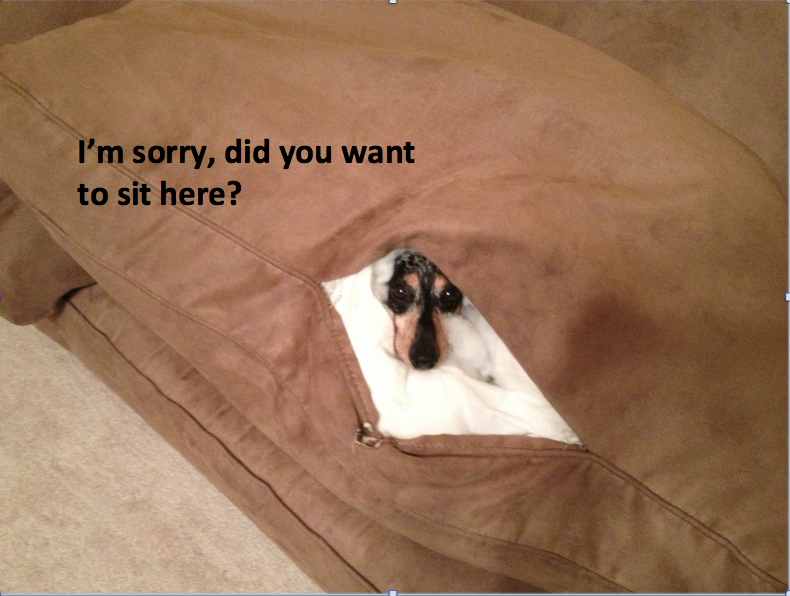 My min-pin has done similar climbing inside the duvet cover…. I can only imagine the “snow” that would occur if she got into a couch cushion! He’s got dibs. Deal with it.